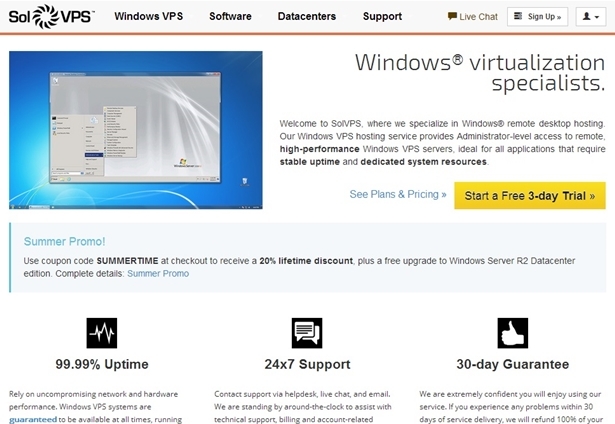 Virtualization hosting provider SolVPS has announced the launch of cloud-based Windows VPS hosting options. The company will make the new options available through its datacenters in the United States and the United Kingdom and hopes that with datacenters either side of the Atlantic, it can appeal to enterprises and entities with worldwide customer bases. SolVPS’s VPS hosting leverages a unique technology platform designed to support Windows VPS deployments and provide fully scalable cost-effective services that offer “exceptional server performance”. SolVPS’s VM deployment platform aims to streamline Windows VPS hosting to enable users to “easily outfit VPS servers for any application, from basic to large-scale needs, using a web interface”. SolVPS’s virtual servers utilize fully-redundant HP ProLiant® servers and services can be up and running in less than 5 minutes. Plans are available with a free 3-day trial. The company’s VPS options include Lite VPS at $19 per month, Basic VPS at $32 per month, Advanced VPS at $59 per month, and Ultra VPS $119 per month. 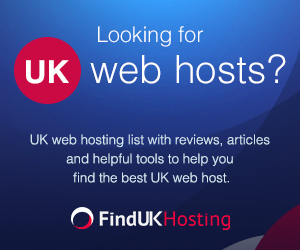 Do you know of any other companies offering quality Windows VPS options? Let us know the details. Add your comments below.